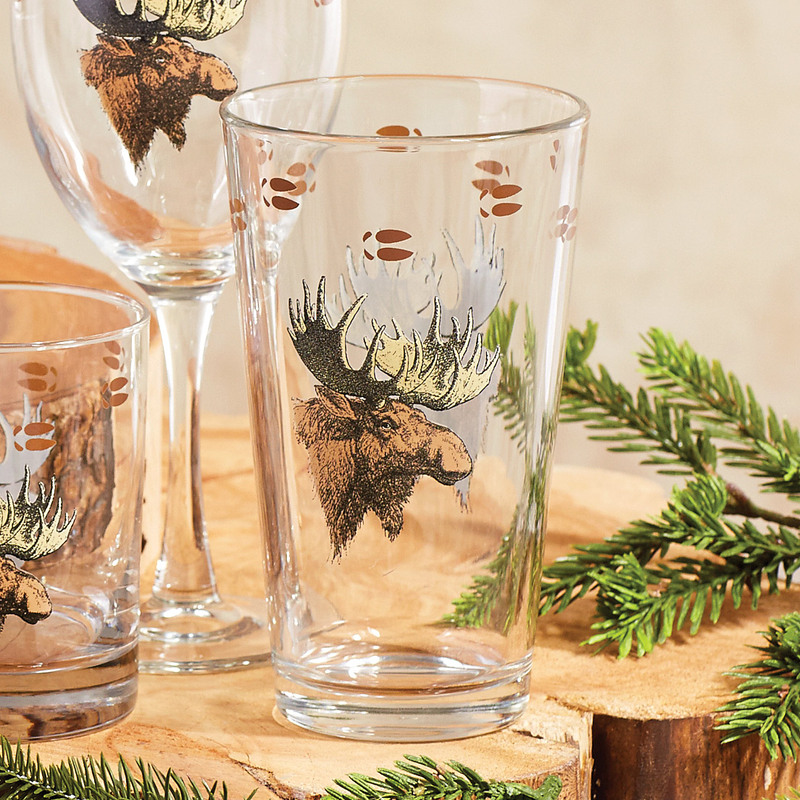 A Black Forest Decor Exclusive - This quality glassware with a moose design and hoof track accents on the rims is perfect for your lodge gatherings. Dishwasher safe. Made in the USA. 3 3/4"Dia. x 6 1/4"H each. Allow 1 to 2 weeks.